Mount Everest at 8848 m above sea level, the highest point on earth needing no introduction, is the ultimate mountaineering adventure. 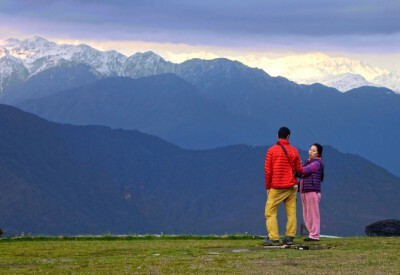 Over the years, due to the access of the mountain becoming easier and over commercialization of the mountain by super luxury outfits, encouraging indiscriminately even non climbers, has seen overcrowding on the mountain. This has somewhat stolen the glory of being on the top of Mt. Everest! Nevertheless, Everest still remains the tallest mountain in the world, and to stand at the pinnacle of the earth is an overwhelming and unfathomable experience. It is still an unbelievable achievement and it is still the mountain who decides who can climb! An attempt to summit Mt. Everest is an extreme project, which requires a huge amount of dedication, determination and commitment. If to stand on the top of the world looking down on creation is your dream, and you have the experience of climbing mountains, with the right mindset, passion and commitment- we welcome you to join our Hi On Life expedition to Mt. Everest 2017 from the North side. 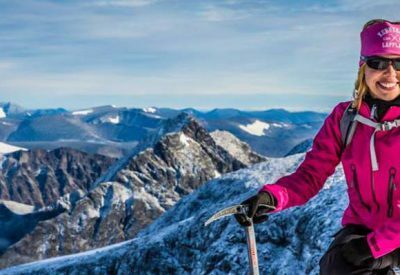 Climbing style– not babysit you to the summit, but a combined team effort involving your contribution to achieve a successful summit. However, we still provide all the logistics; experienced guides, top end tents, oxygen and equipment, excellent food and impeccable care during the entire expedition. We also provide all the “luxuries” that the big names in the industry promise you. 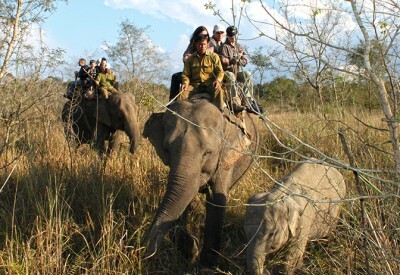 Where we differ is that many outfits in this business emphasises that they use “western guides”. Yes we agree that it had a leading edge until some years ago, but thanks to some incredible mountaineers from around the world, who as an act of giving back something to the community started climbing and guiding schools in Nepal. As of 2005, Nepal National Mountain Guide Association is a member country of International Federation of Mountain Guide Association (UIAGM/IFMGA). We now have many Nepalese guides who are certified International Mountain guides under UIAGM/ IFMGA certification. Moreover, thanks to the world of information technology, the local guides have more exposure to the world around- now they are climbing in Europe, America, Antarctica etc. The access of education has also seen a huge improvement in the local Nepalese guides command in English language. 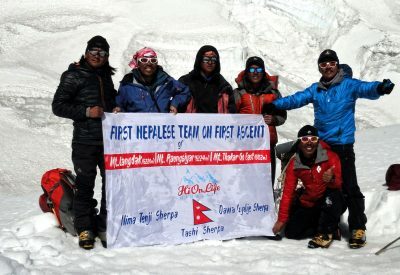 Therefore the Nepalese Guides of today, are at par in qualification as a professional mountain guide as to any guides from around the world. A well-equipped Base Camp with communication facilities including Sat phones and computers with internet service is an important aspect for a successful expedition . We get constant updates on weather reports, updated from BC, Kathmandu Office and office in Sweden. For a group of 4 and above, we provide a High Altitude specialised expedition doctor! 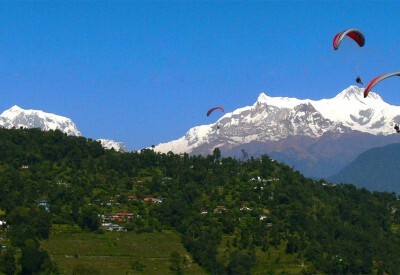 The expedition begins in Kathmandu, where you spend a couple of days preparing for the expedition. All set and ready to go! We drive to Kerung to enter Tibet. On the way to Everest Base Camp, we drive through Jilong and Thingri, where we spend a few days for acclimatisation before heading up to Base Camp. Advanced Base Camp at 6200 meter will be used as a base camp during the acclimatisation rotations and final summit push. 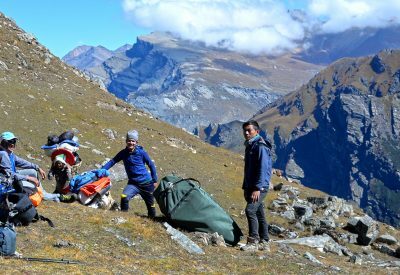 During the rotations of acclimatisation, all higher camps will be set up by our Sherpa guides, and climbing logistics- food, fuel, ropes, oxygen bottles etc. will be stacked up in different camps. After the rotations are complete, we head back down to Base Camp for rest and recovery before the final summit push when the weather window is open. 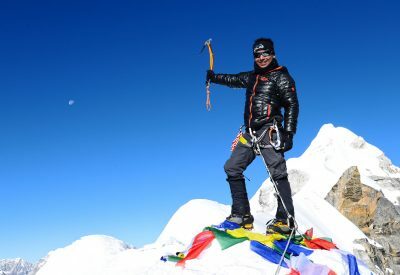 Climb with highly experienced, professional and internationally qualified Nepalese Mountain Guides with multiple Everest Summits to their name. Oxygen Supply: 6 oxygen bottles (4 lts) per member with British top out Mask and Regulator. Food and Base Camp Support: Everyone who has climbed with Hi On Life Adventures before, knows what we are talking about. We have undoubtedly the best chef in the mountain surprising you with a gourmet menu designed and tested to keep the team well-fed, strong and healthy. Comfortable Base Camp: We understand that getting in and out of a small 2 to 3 men dome tent for over a month can be really tiring. Therefore at Base Camp we provide you with a big A frame tent with folding bed, so that you can have a good rest after your acclimatisation rotations to higher camps in the mountain. Undoubtedly the best way to recharge yourself. 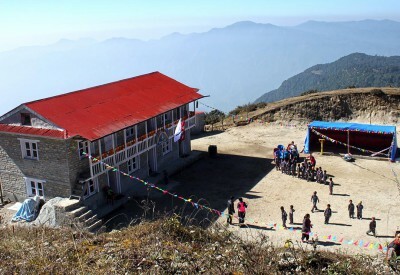 Well-equipped Base Camp with communication facilities including Sat phones and computers with internet service. Constant updates on weather reports, updated from BC, Kathmandu Office and office in Sweden. For a group of 4 and above, we provide a High Altitude specialised expedition doctor!